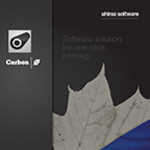 Built on the robust RIP of Shiraz-Software’s Carbon Solo®, the POD-Carbon solution is a extremely intuitive application for color management and print processing. 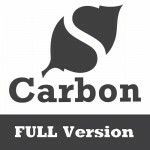 With its simple drag and drop technology, POD-Carbon makes image printing an easy task. The POD Only version is required for processing POD Exchange images but with the features of the FULL version, along with its price, you will certainly want to take a closer look.